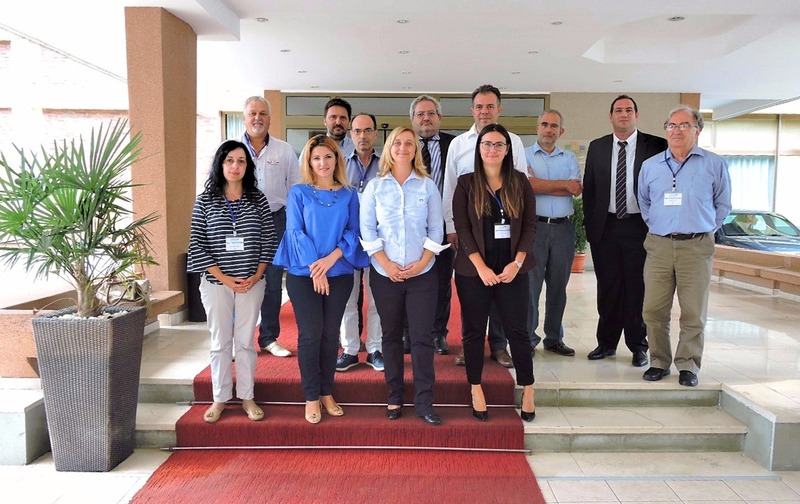 The Kick-off meeting, which marked the start of the project Innoplatform, was held in Ohrid, FYROM, from 12th to 14th of September, 2017 in organization of the project lead partner Center for Knowledge Management. InnoPlatform is a two-year project supported by the BalkanMed Interreg-Program 2014-2020 of the European Union, where, representatives of six organizations from Cyprus, Greece, Bulgaria, Albania and FYROM will work on a platform aimed at boosting the competitiveness and innovation of business entities in the Balkan Mediterranean area. - In order for a company to be competitive and sustainable it must be innovative. It must constantly introduce new products and services, but at the same time be able to change its internal processes, to change the way it organizes its resources along with its revenue model, said Dr. Andrijana Bogdanovska Gj, the project manager of InnoPlatform. Rankings of national competitiveness carried out by relevant entities such as the World Economic Forum and the World Innovation Index indicate that when it comes to competitiveness and innovation, the Balkan-Mediterranean countries without exception lag behind EU countries and the developed economies. In order to strengthen regional innovation capacities, the project InnoPlatform will provide appropriate tools for improving the innovativeness and competitiveness of business entities. In addition, all project partners involved in this project will establish Centers of Excellence in innovation which will work on improving the access of small businesses to the required knowledge and expertise for introducing innovations.